It’s been a good year so far regarding Alan Moore related work. Here are books and comics I’ve read concerning and/or written by Moore. 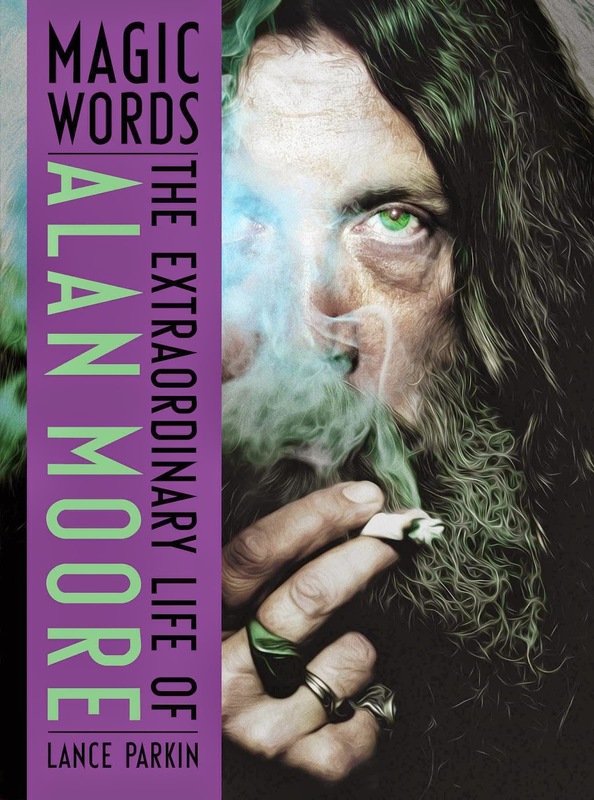 First up, I was lucky enough to be given Lance Parkin’s biography Magic Words: The Extraordinary Life of Alan Moore. It’s quite in depth and there’s loads I hadn’t seen before, including a school photo and good insight into Moore’s affiliation with and empathy for 1970s art labs. Parkin is an admirer of Moore, which came across in his previous Essential Guide, and here too. Parkin treads a delicate line between admiration and criticism though. There are many memorable passages here, because Moore seems such an uncompromising figure. For example, his continued defiantly naïve perspective on what the relationship between publisher and artist should be, signing less than perfect deals on his ABC characters, and up to his current Top Shelf contract, which also relies on trusting that the company is made up of (by his definition) decent people. 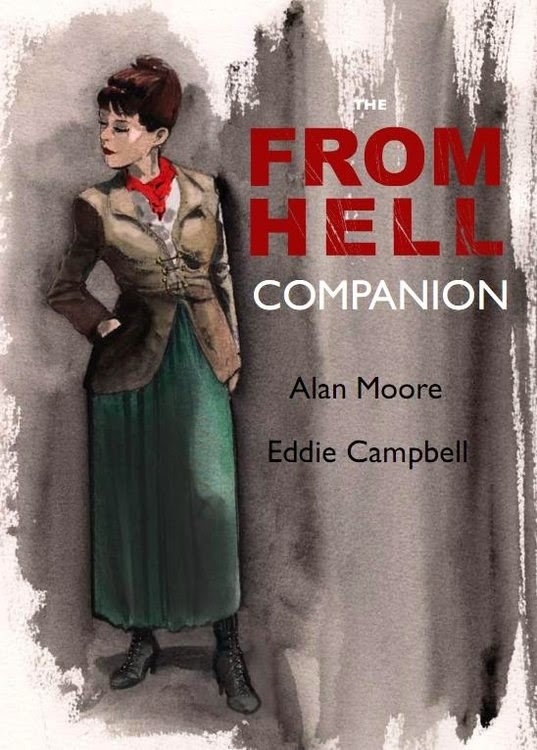 Another good read was Eddie Campbell’s From Hell Companion. I bought this book last year, read a bit and then was inspired to finish it after the Parkin biography. It presents excerpts from the script interspersed with commentary from Campbell. There is some terrific writing from Moore here. To paraphrase Campbell, the text that usually only the artist would read. What is very striking almost right from the beginning is Campbell’s confidence in what he is doing. He is in no way slavish to Moore’s script. When Moore writes of and in his own script, “None of this rambling junk is sacred”, Campbell takes that on board. Throughout we see Campbell do different layouts than suggested by Moore, who famously gives detailed instruction to artists and says that if something “would work better another way then just go ahead and do it”. This book contains the best evidence I’ve seen of the artist doing something else. Perhaps it’s because Campbell is such a strong authorial voice in his own right, with all his autobiographical and Bacchus comics behind him. Campbell’s a great writer too, with a hilarious family table story concerning “Annie and Eddy”. This book was terrific, and gives an insight into the two talented men who made From Hell. 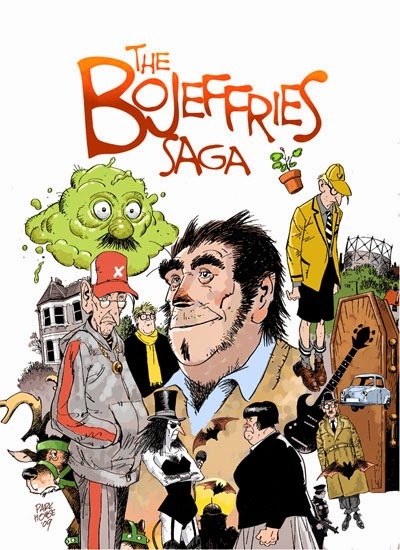 The collected BoJeffries Saga has finally appeared. This started back in the 1980s as instalments in Warrior. The art by Steve Parkhouse is very good. His style is perfect for this story; it’s homely, caricaturesque, and slightly skewed and bizarre. Over thirty plus years the BoJeffries stories have been published under various houses, and Parkhouse’s convention of signing with a year attached is slightly distracting, but easily ignored. For example the first chapter is Parkhouse, 85, the second Parkhouse 82, etc. 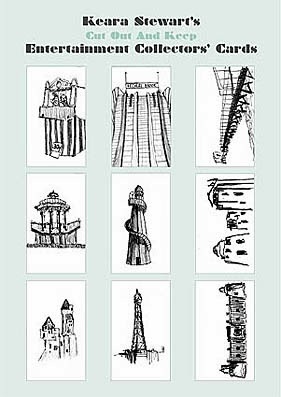 Parkhouse’s introduction is a bit sad, with his statement that “at some point in my career I had forgotten what it was like to have fun with drawing”, which is a shame for him. But certainly in these stories, possibly inspired by the fact that “the end result has always made me laugh”, his artwork is lively and full of fun. 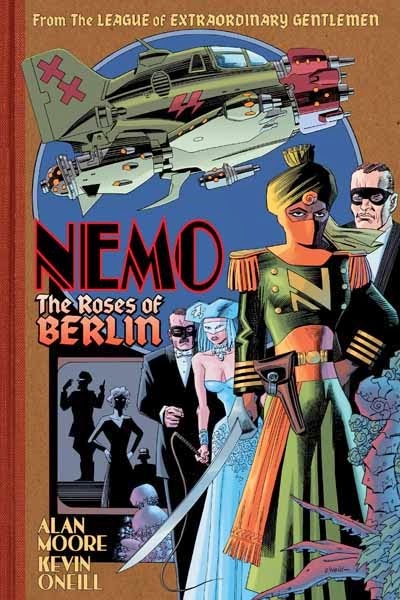 Finally I’ve read the latest League of Extraordinary Gentlemen spin off Nemo: Roses of Berlin. Boy, It’s a delight to see these come around periodically. The fantastic cityscapes and mention of Rotwang clued me in to the fact that we are in Metropolis land here. Very exciting to see the False Maria robot as I love that movie so much (and yes, it’s the 1980s edit that I like, with the Giorgio Moroder soundtrack featuring Jon Anderson, Adam Ant, etc). I won’t comment on the ending, but suffice to say, one should not mess with Captain Nemo. A very enjoyable comic, but can we get Kevin O’Neill cloned? Because I miss Marshal Law. I’m now looking forward to the third Nemo comic, the fourth League of Extraordinary Gentlemen, and the sequel to Neonomicon. And I still haven’t read Fashion Beast yet! PS. Check out Moore’s interesting history of comics from the “Occupy Comics” series. Well worth a read. KS: When I was a kid, my mum would buy me a comic or magazine of my choice for the train journey whenever we went on holiday. 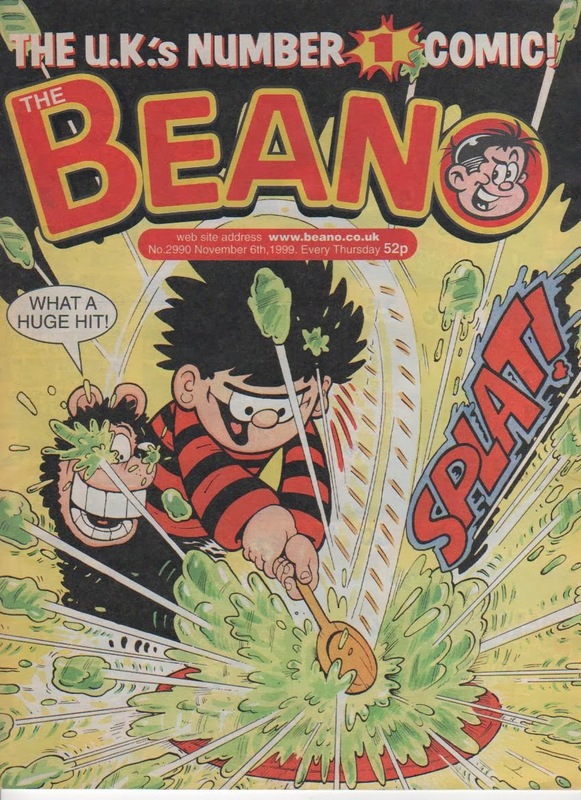 I always chose The Beano or The Dandy and I loved the treat that came with it too - usually a lollipop if I remember rightly? Years passed and when I met my boyfriend Nile in 2004 and moved in together soon after, I found his stack of Uncanny Xmen and Wolverine comics. I appreciated the artwork, but the stories never grabbed me. I didn't know there were any other genres of comics out there. It wasn't until around 2011 that I became interested in comics again. My friend and colleague, Andy Oliver (Managing Editor, Broken Frontier.com) started introducing me to more small press and autobio comics and graphic novels. The first one I ever bought was 'Seeds' by Ross Mackintosh. I was bowled over by it and my love of comics was born there and then. Andy bought me Nicola Streeten's 'Billy, Me & You' soon after and this was another revelation. Both the subject matter and Nicola's style of mixing image and text was what made me want to start making comics of my own. The rest is history! My bank balance has been troubled ever since, but my life was changed - now I can't get enough of zine and comics fairs! I went alone to Brighton last summer for the Comics and Medicine Conference and came home having met lots of new friends and feeling inspired! I never would have imagined that's what I would have been doing a couple of years ago. Comics have become quite an addiction in a relatively small space of time! Sarah Leavitt's 'Tangles: A story about Alzheimer's, my mother and me' for her simple, yet highly expressive drawings of a subject I am emotionally invested in. I love everything about Melissa Mendez' mini comic, 'Lou'. It's production (Oily Comics), the characters, the atmosphere she creates, the excitement I feel when I see each new cover and the little info extras she always gives her readers on the inside back cover. Nick Wadley and his book, 'Man + Doctor'. His drawings struck me down. From consultations to examinations, scans to blood tests, wards at night and passing stools, this book conveyed his experience with so few words but said so much. His lines and limited use of colour are to me, perfection. Nicola Streeten's 'Billy, Me & You' which I mentioned earlier, was the first illustrated memoir that I had ever read and it was this book that made me want to make my own comics. Seeing how powerful the comics medium could be to express emotion and seeing how Nicola used drawing, text, photos and articles together to tell her story was incredibly inspiring to me as a reader and a creator. And last, but by no means least - Simon Moreton and 'SMOO'. Each issue I've read offers something different, but I have loved seeing how Simon's drawings are becoming more and more pared down over time. He again, says so much with so little and this is what I aim to achieve with my drawings. KS: I had never attempted a panelled comic before, so Dump 2 was quite a challenge! Before Dump, I had two drawings in Mysanthropia Zine 3 (http://misanthropop.bigcartel.com/product/misanthropia-3-the-dapper-hikikomori-or-all-dressed-up-with-no-place-to-go) and had created some Entertainment Collectors Cards for Arty Entertainment (http://www.artymagazine.com/pages/arty24.htm) but I'm not sure that either of these are considered comics by myself or the creators. At the same time as working on the comic for Dump, I was also in the process of putting together a comic pamphlet for a research project funded by the AHRC. The 'Mark Making' project, led by Dr Hannah Zeilig, looks at the value of arts for people with dementia. I was given the text for the comic, but was given the freedom to design and illustrate it. I really enjoyed choosing a colour palette and used drawings I made during, and in response to, afternoons I spent with residents at Silk Court Care Home in London. 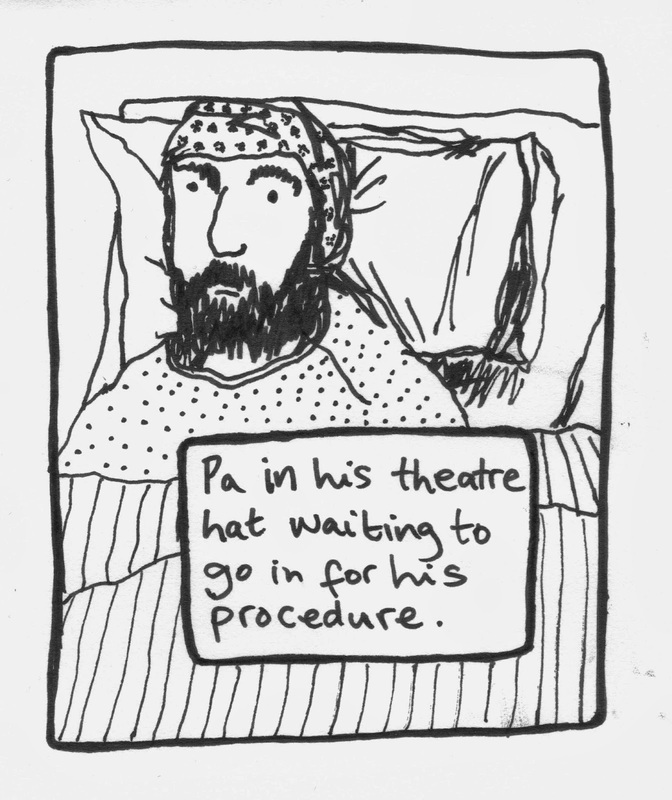 The comic will be used in artist run activities for people with dementia, attended by Hannah Zeilig. It will also appear on the Mark Making website, which is launching soon. This was great experience and my non-existent Photoshop skills improved a fair bit! I have various ideas in the pipeline for comics I want to create and self publish, but at the moment I have started working on another exciting collaboration, illustrating a short story by Ravi Thornton (http://ravithornton.com/). DR: Any other artistic pursuits? KS: I have an ongoing series of drawings of my dad, made while accompanying him to various hospital appointments and procedures. I'm planning to compile these one day into a daddy diary comic! DR: How did you find the process of drawing "Yay! Party!"? KS: As I'd never drawn a panelled comic before, it was great to have the rough, sketched out panels you sent me. I wasn't sure what approach to take and I initially began by drawing out the panel boxes onto A4. I then started drawing in each box one by one. I soon realised the problem with this. I draw straight in pen so if I wasnt happy with the drawing it would mean starting again. So I decided to start afresh, drawing each panel on a separate A5 page and then put the panels together in photoshop. I drew the speech bubbles separately for some pages too. Luckily I had photoshop help on hand in the form of my partner-in-crime, Nile. I wanted the text to stand out against white, but for the drawings to keep the slightly grey background. I spent much more time doing the technical stuff in the end, scanning and editing, than I did actually drawing. Hopefully now I've got some photoshop experience, I can spend more time being creative next time! Still, nothing is as exciting as seeing your work in print! Seeing my story, based on real life social anxiety, was one of those stay-with-you-forever moments! DR: It was interesting for me too. As you know, you gave me a scenario involving social anxiety at a party, and I then wrote up the comic from there. I was aware of trying to do the subject justice and portray it in an appropriate way. I’d done a similar thing before with Crohn’s Disease. KS: You certainly did it justice. As someone who hasn't worked with words before, I felt that this was a perfect collaboration! DR: Now that you’ve gained experience in doing a comic, when can we expect to see more from you? KS: I'm currently attempting to illustrate a beautiful short story by Ravi Thornton. I'm also going to try and put together my own mini comic. I've been inspired by a lot of creators at small press comics and zines fairs in the last year and I'd love to try and get something of my own out there! Keep an eye on my tumblr for updates! Labels: Beano, Billy Me & You, Dandy, dump comic, Lou, Man + Doctor, Mark Making, Melissa Mendez, Mysanthropia, Nick Wadley, Nicola Streeten, Ross Mackintosh, Sarah Leavitt, Seeds, Simon Moreton, SMOO, Tangles, Yay! Party!